Looking to add a modern touch to your home and upgrade your current interior? 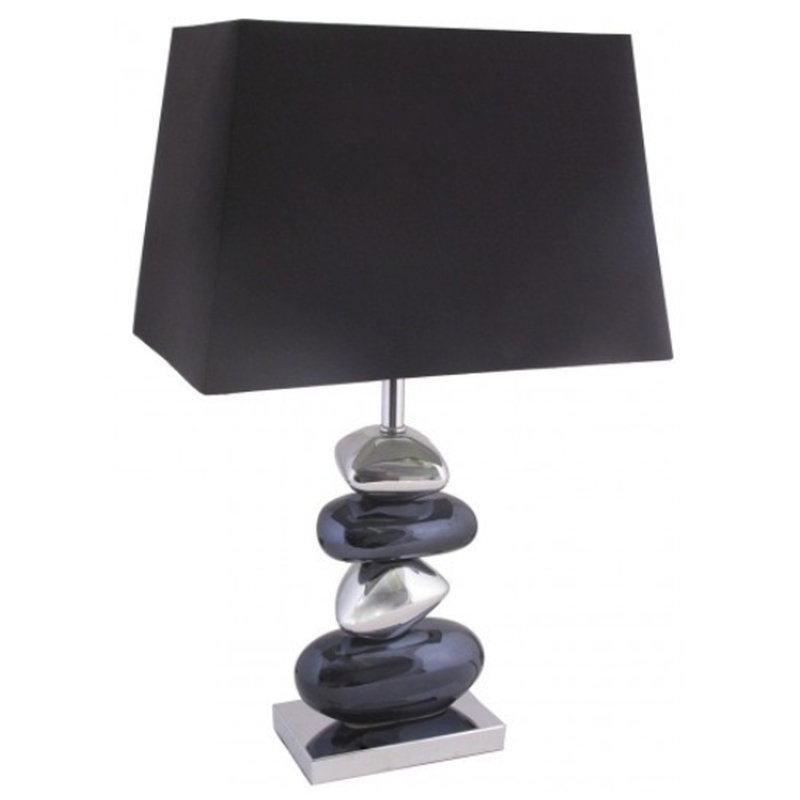 Introducing this beautiful Black And Chrome Pebble Table Lamp, with an array of black and chrome pebbles for the base of the lamp, it's topped off with a lovely black shade. The solid contrast of the colours makes this lamp a perfect addition to add to any room in your home.